Icelandair has dropped the price of their September to December flights from Toronto to Reykjavik, Iceland down to $329 CAD roundtrip including taxes. With the checked luggage included, this deal is pretty similar in strength to when WOW Air drops their 'flight only' prices to Iceland down to around $200 CAD roundtrip. The September dates are likely to sell out first. 2. 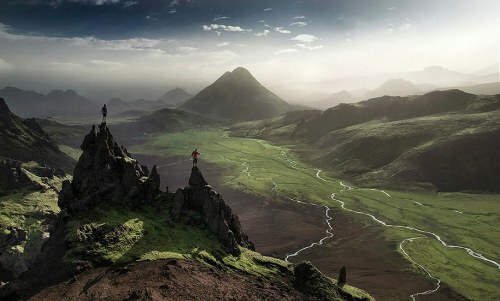 Select your flights and click through to the Icelandair website, or Expedia , or Flight Network. 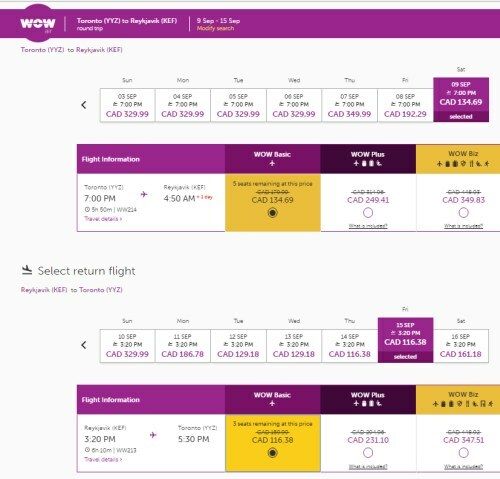 Update 8/3 - WOW Air has a promo code out today that brings down the price of some of their September flights from Toronto to Reykjavik, Iceland to $251 to $264 CAD roundtrip including taxes (without luggage) or $379 to $392 CAD roundtrip (with luggage). 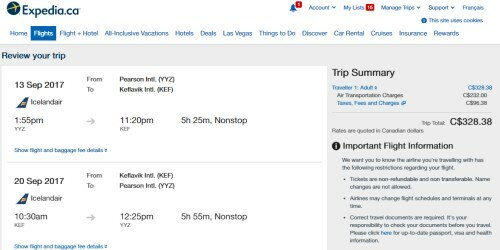 5 Responses to "Toronto to Reykjavik, Iceland - $329 CAD roundtrip including taxes | non-stop flights with Icelandair"
Awesome deal, I've always wanted to visit Iceland! Love this site! Going to Iceland for $330! Thanks for the tip! No problem Richard, have a great time in Iceland!